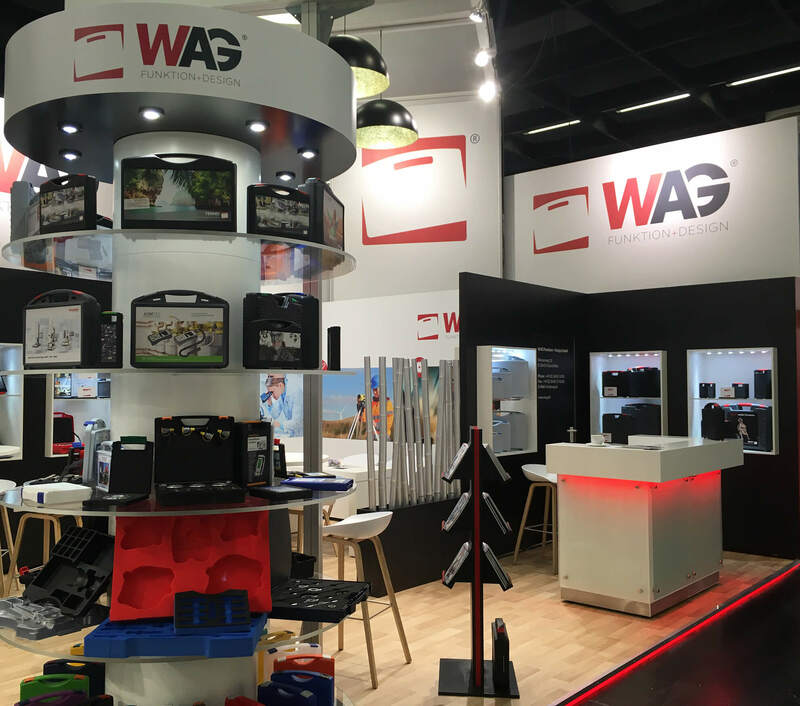 Inspired by interior design, W.AG presented new pocket solutions that can be used with foam inserts inside a case. 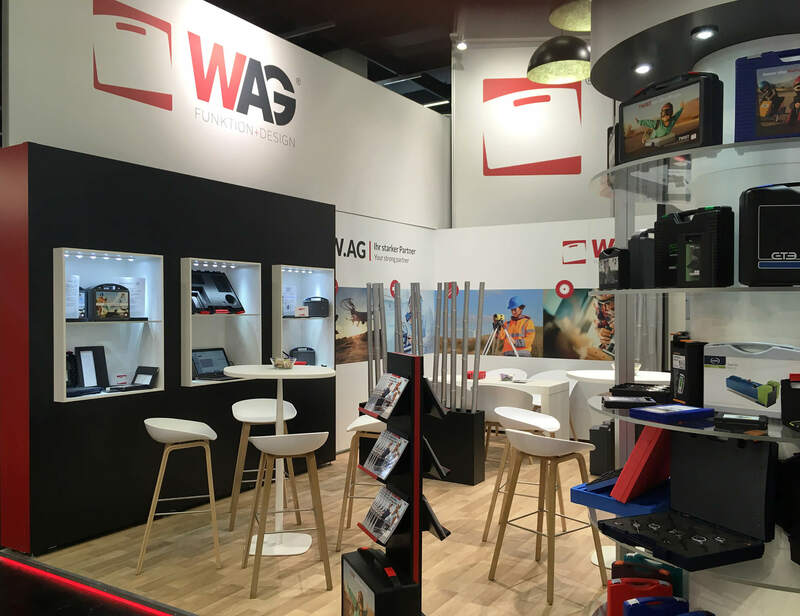 With its pocket solutions in attractive DIN A4 and A5 formats, W.AG offers new storage options for product manuals, instruction manuals, brochures, catalogues, DVDs, Blu-rays, etc. The compartment solutions which are made of sturdy cardboard feature a viewing window and an optionally magnetic, sealable cover. Alternatively, a pocket solution without a cover can also be used in a case. 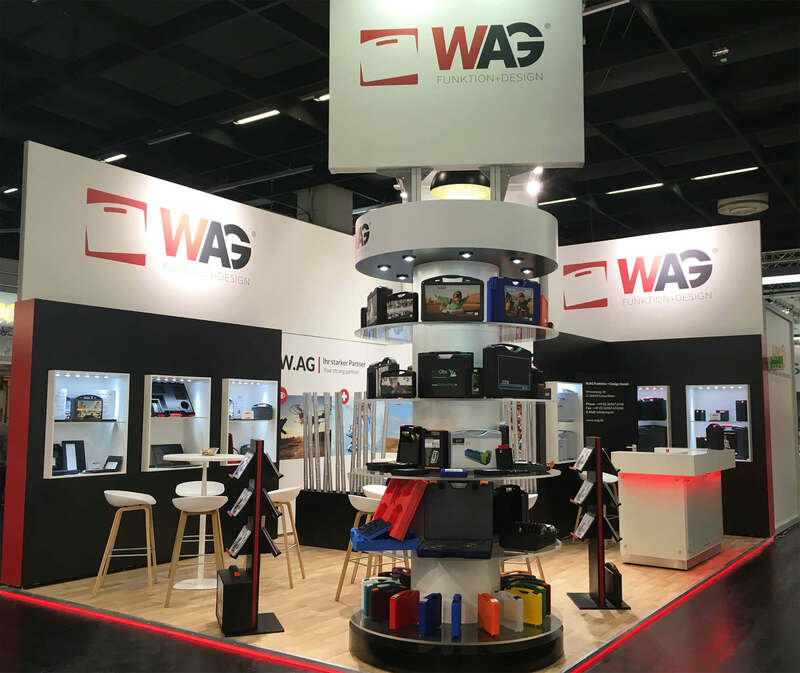 As you can see in the current product catalogue, W.AG presented the imperceptible Digimarc Barcode and did a live demonstration at its exhibition stand for enthusiastic visitors of its innovative barcode as trend-setting alternative to the conventional barcode and QR Code. Because unlike those other code variants, Digimarc does not interfere with the artwork on the IML but it is digitally integrated at the pixel level in the graphics. Digimarc can be used both on the entire surface as well as in a defined area on in-mould labelling. The user only needs the free Digimarc® Discover App from the Google Play Store or the App Store and can start scanning the IML immediately. The digital barcode is mainly used for digital product manuals or instruction manuals but above all for interactive marketing activities such as contests, videos, voting, surveys, etc. While NFC and RFID are not completely new technologies, they still offer a wide range of uses for industrial cases. 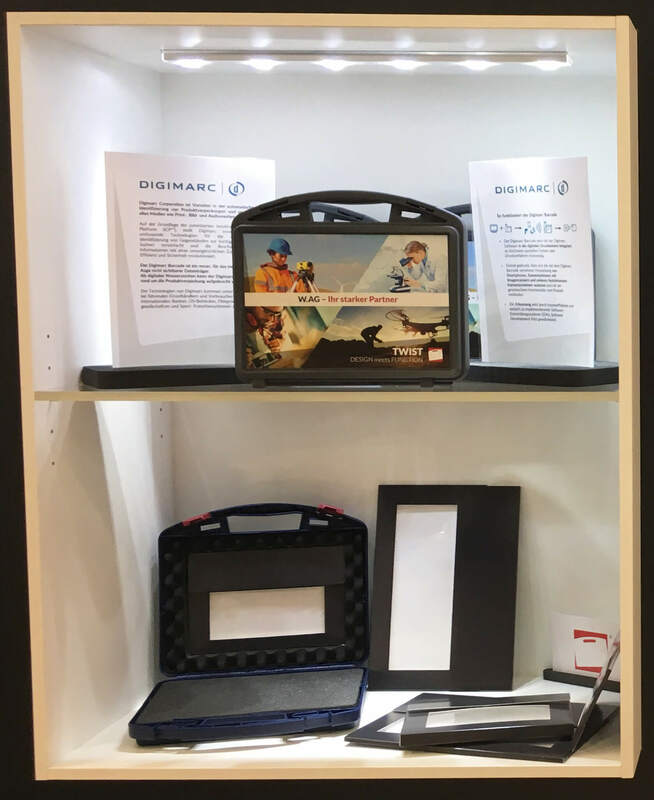 Visitors to the fair were able to use the NFC/RFID studies to find out that product data as well as current climatic conditions inside the case can be determined with the help of an NFC-enabled smartphone and NFC chip stored inside (situation analysis). 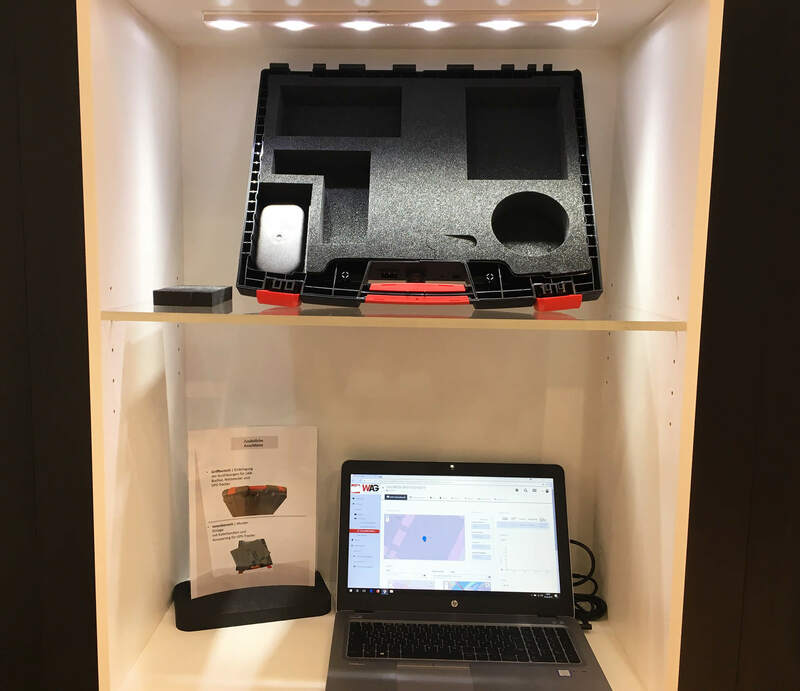 The RFID technology can also record shock events (tremors, shocks), temperature and humidity profiles, which can be read out by an external USB device using software. 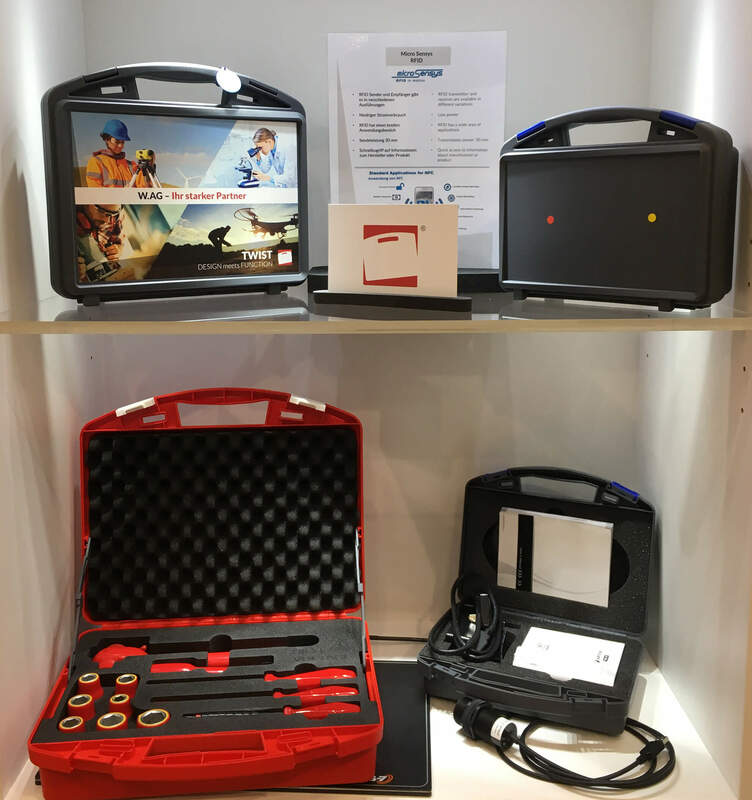 Completeness analyses can also be carried out just in time by means of RFID and external hardware to always ensure that a tool box, for example is fully stocked and no tools are missing. Internet of Things (IoT) is the most popular buzzword in the field of digitisation today. In cooperation with a German information and communication service provider, W.AG presented the study of a networked case which is directly connected to a cloud-based software solution by a tracker in a case. The software makes it possible to determine the current location and its travel route using GPS technology. In addition, the temperature, humidity, shock events, etc. can be recorded and evaluated in a reporting system. The up-to-date condition of the case, the battery level and alarm functions can also be managed and controlled. 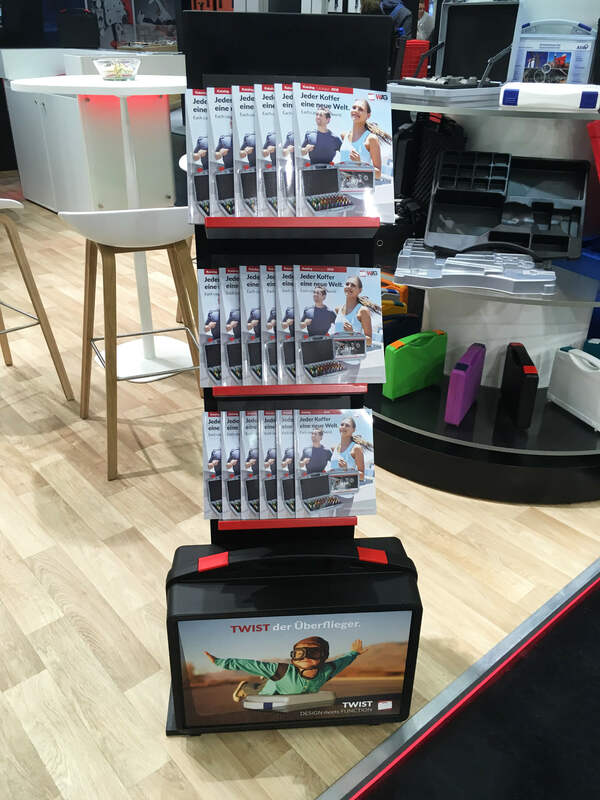 This innovative all-in-one solution for a smart case offers a wide range of possible applications, especially for upscale and highly sensitive case contents. There is little standing in the way of smart cases of the future. The German case manufacturer is particularly pleased to present the new case sizes of the TWIST and HEAVY series which are now available with an in-mould labelling decoration method: In addition to the largest TWIST size (9472-9476), the smallest TWIST basic size, TWIST 9222 – 9226, will be IML ready in time for the fair. What’s more, the entire HEAVY series with the exception of the HEAVY 4054 size is now available with IML. 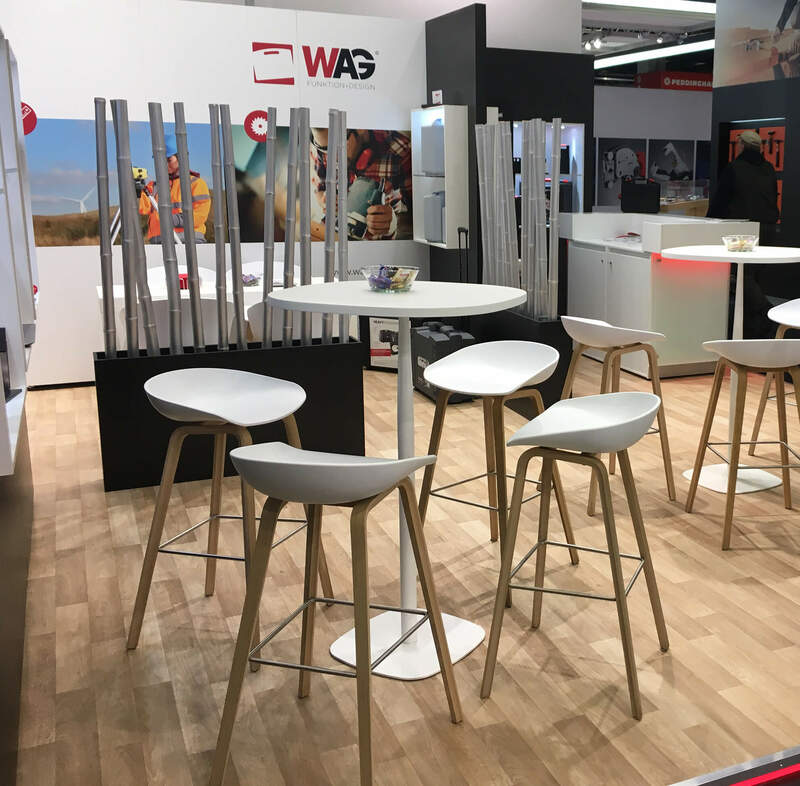 The W.AG team would like to thank all its visitors for the great dialogue, especially for the gratifying feedback on our fresh corporate design and our new booth concept. 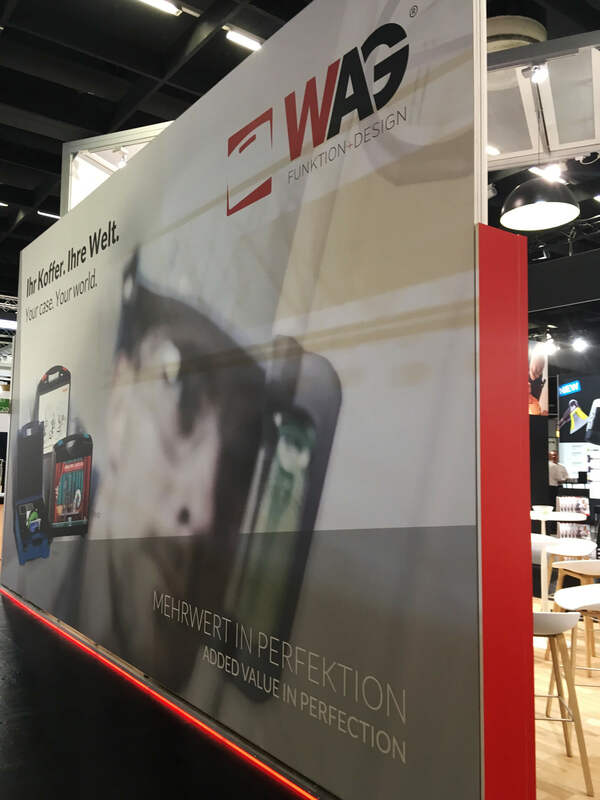 We’ve provided some snapshots of our new booth for you in the photo gallery.